In partnership with the Michigan Department of Community Health, Avon Foundation, Women’s Health Network, and Komen Michigan we are pleased to provide many services specifically for women. 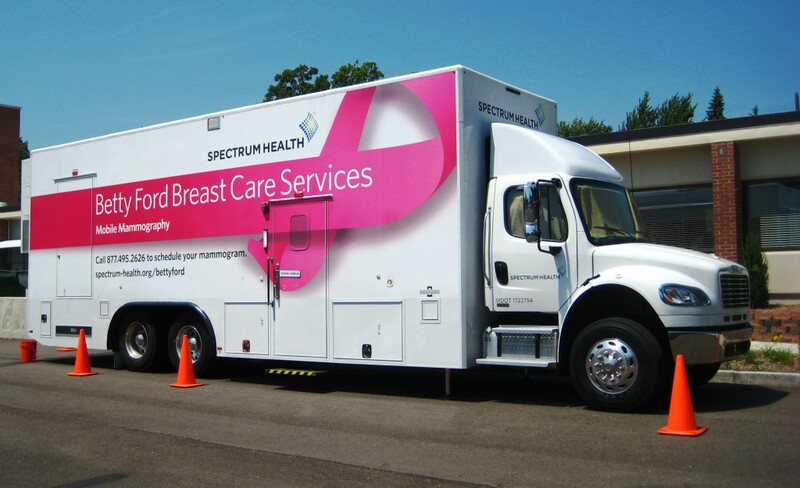 Mammograms are available on site at Catherine’s thanks to Spectrum Health’s Betty Ford Breast Care Services. The mobile mammogram bus makes visits every other month and can provide screenings for up to 20 women per visit. The Breast and Cervical Cancer Control Program (BCCCP) provides low-income women access to life-saving cancer screening services and follow-up care, including cancer treatment if needed. This includes basic screening services such as clinical breast exams, screening mammograms, pelvic exams, Pap smears, and patient education. The Well-Integrated Screening and Evaluation for Women Across the Nation (WISEWOMAN) Program is an extension of the BCCCP. Women are only eligible for the WISEWOMAN Program if they are first enrolled in the BCCCP. The purpose of WISEWOMAN is to help participants make healthy lifestyle choices. The program focuses mainly on nutrition, physical activity and smoking cessation. Participants receive counseling and support to create a plan to improve their health. WISEWOMAN participants are empowered to prevent or delay the development of new chronic disease risk factors by making wise choices. For more information, including qualifications, please visit this link to michigancancer.org. If you have any questions about any of these programs, please feel free to call Jess Eglinton, our Volunteer Coordinator, at 616-336-8800 x207.